Since you guys liked my travel guide about Moscow so much and always ask me about my trips, I decided to share my favorite hotels and restaurants in Tulum with you today. A personal travel guide with recommendations on where to stay and where to eat. 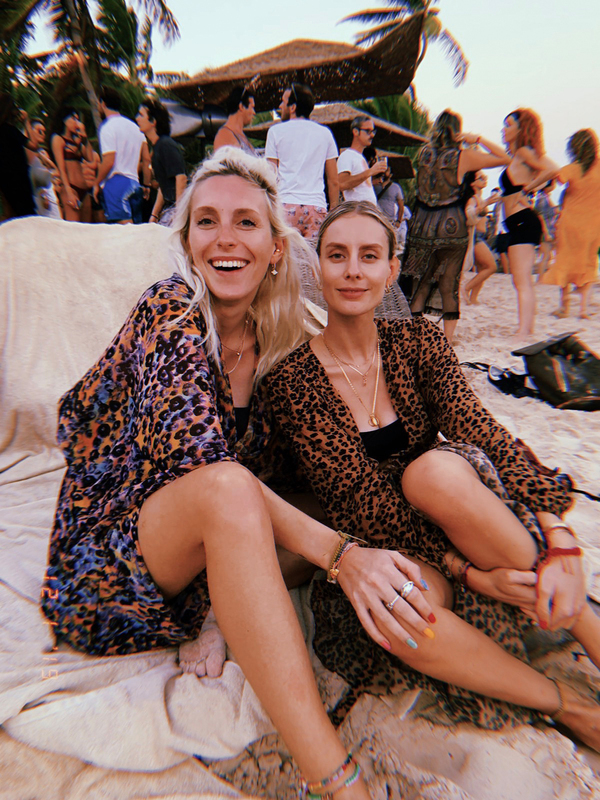 We celebrated NYE in Tulum and had an amazing time. It was the perfect getaway to reset your mind, feel positive and completely relaxed. A trip to Tulum was never at the top of my bucket list. For me it has always been a place that fulfills all kind of blogger stereotypes. Turns out, I was wrong. Last year I traveled to Tulum for the first time together with Blogger Bazaar. If it wasn’t for them, I would have never booked that trip. But: It was amazing! I actually loved Tulum that much, I just had to come back again. Before I share my restaurant recommendations and hotspots with you, there are a few facts worth mentioning. You should know, that Tulum City and Tulum Beach are two completely different places, about 5km away from each other. Depending on the traffic, it can take you about 20 t0 40min to get from one place to the other. The infrastructure is really bad. The two places are connected by a single road. This road is so narrow that it can only be used on one lane sometimes. I don’t think I have to mention what happens when a lot of trucks are on the road. At peak times and especially after accidents, this short distance trip can take you hours. Taking a taxi is quite cheap. It will cost you around 250-300 pesos ( around 11€ ). If you want to enjoy a relaxed beach holiday, Tulum Beach is the best choice for you. Tulum Beach is actually one long beach strip, where numerous hotels are located on pretty and spacious white beaches next to each other. A paradise, much like the Maldives. Tulum City on the other hand, reflects the honest, authentic and poorer Mexico. Last year we spent half of our trip in the city, the other half in Tulum Beach. This time however, I wanted the full beach experience. Sunbathe all day, eat, workout and relax. There is no better way to end the old year and start a new chapter full of exciting projects, If you ever want to do both, Tulum Beach and Tulum City, two nights in the city are definitely enough to explore everything. From October on, when hurricane season is over, it is the best time to travel to Tulum. While the months of October, November and early December are quite calm, it really starts to get crowded in mid -December. If you like to be surrounded by a lot of people and enjoy day parties, you should definitely travel to Tulum between mid- December and March. This time is considered peak season and can be compared to our summer holiday period in July and August. Tulum’s sandy beaches turn into bohemian beach parties and remind you more of summers in Ibiza or Burning Man, rather than honeymoon on the Maldives. If you are not fond of day parties, you should check, if your hotel is hosting parties , before booking your trip. The Be Tulum, where we stayed at, offers daily parties from lunchtime to early morning during high season. Tulum Beach offers anything from luxury resorts, chic design hotels, small apartments, to clamping and camping. You can find something to fit almost any budget. New hotels are being built everywhere. You can really find some very good deals. 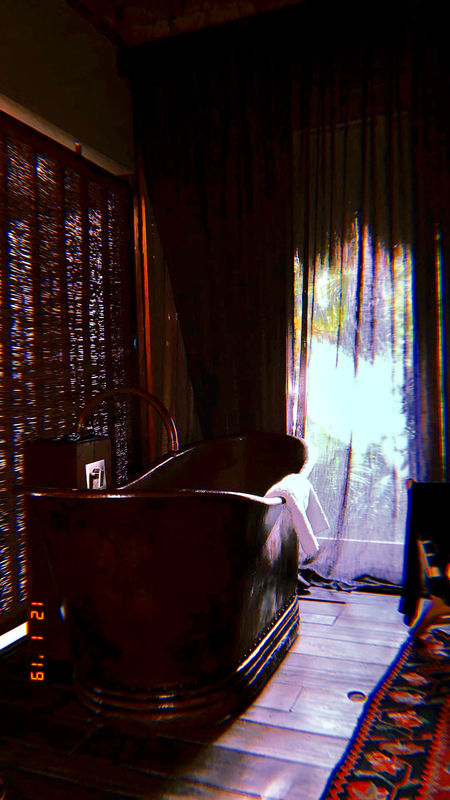 We decided to stay at the Be Tulum for our NYE trip and it was absolutely amazing. Be Tulum: Be Tulum is a luxury lifestyle hotel and spa with 64 suites, 3 on-site restaurants, a bar and 2 swimming pools. I really love the eco-chic design of the hotel and its raw natural beauty. Each spot is designed to embed within nature. The staff was super friendly and the food was amazing. It is definitely not the cheapest, but worth every penny. I will for sure stay there again. 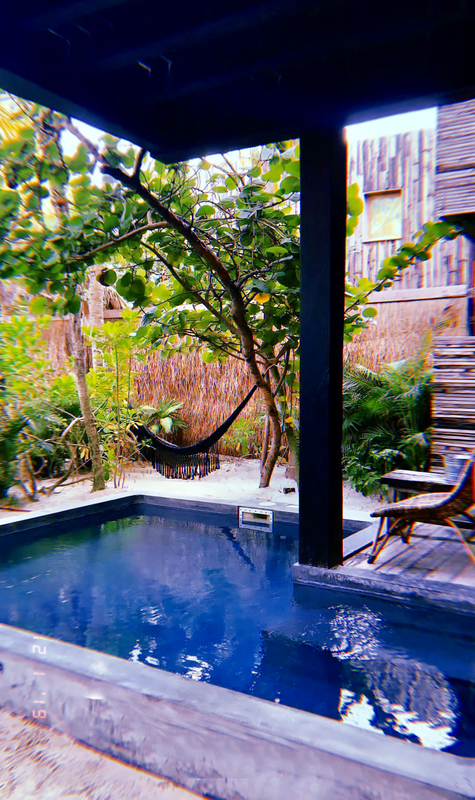 Nomade: Nomade hotel is a whole magical experience. I love its super natural boho vibes. It is located right next to Be Tulum hotel, surrounded by white sandy beaches. It is the perfect place to relax and take your mind on a spiritual journey. Nomade offers yoga lessons, retreats, workshops and talks. It has 2 amazing restaurants on-site. Azulik: Azulik is a luxury adults-only beach and wellness resort. To honor the waters that surround the property, Azulik has built water paths that wander through the whole hotel. 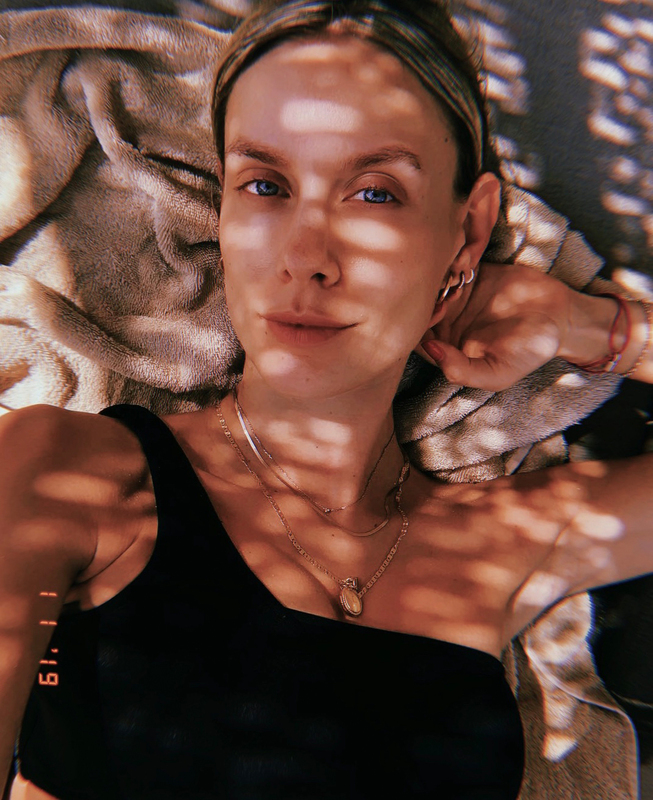 At Azulik you feel reconnected with yourself and the natural environment. The eco-villas are the perfect place for a romantic getaway. No television, no electric light, just pure relaxation and comfort. It has 3 different restaurants that offer anything from traditional Mexican cuisine, over sushi to avant-garde cuisine. The architecture of the hotel makes you think of a treehouse. Make sure to stop by for a sundowner and enjoy the amazing view over the jungle. Habitas: Habitas Tulum is a beautiful eco-resort hotel. It has an impressive outdoor pool and a delicious on-site restaurant. The design of the hotel is very down to earth. There a re no typical hotel rooms. it is more like a 5* hotel in a big tent. Glamping at its best. Central Park resort & spa: I stayed at Central Park Tulum when I travelled to Tulum last year. It is a luxury eco-resort and spa and the perfect place for a city trip. It has a very clean yet cozy design, a huge outdoor pool and a restaurant, serving international cuisine. Central Park always reminds me of a typical apartment facility. Even though it seams, as if you are living in an apartment, it offers all necessary hotel services. Aruma hotel & boutique: Aruma hotel & boutique is a really nice low budget hotel. It has a very modern design and is great for a short trip to Tulum City. It is very clean and the service is excellent. The rooftop terrace with its rooftop pool, is a perfect add on. Aluna hotel: Aluna hotel only opened its doors in July 2018. The new hotel offers 72 spacious rooms, 6 luxury suites, a traditional restaurant and a huge main pool. All rooms are extremely spacious with warm and modern interiors. I prefer the boho inspired hotels, Aluna though is great for one or two nights in the city. When it comes to food, Mexico is all you ever dreamed of. Healthy, fresh and oh so yummy! 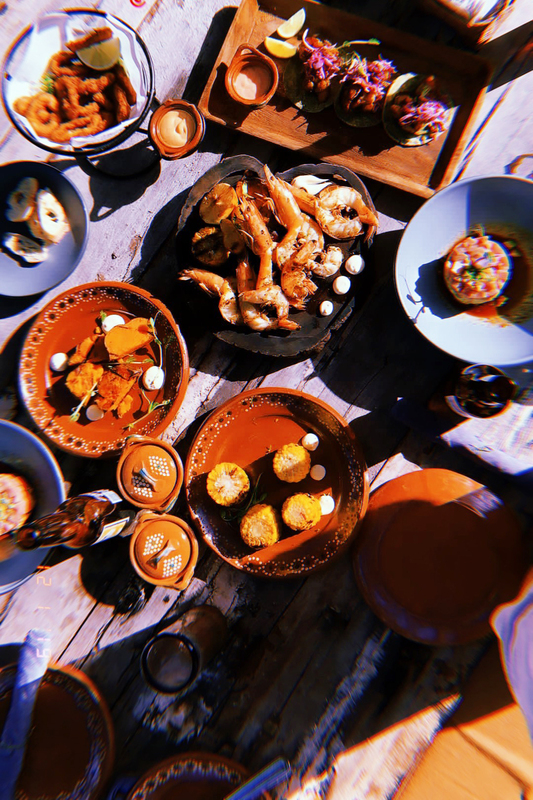 Gitano: Gitano is a beautiful Tulum Beach restaurant and bar that offers modern Mexican dishes. It is such a magical looking spot. You are surrounded by palm trees that are decorated with light garlands. The food was excellent. If you want to taste the full variety, go and order a lot of small dishes to share. A cozy dining experience. Gitano is the perfect balance between restaurant, bar and club. They play live music during the week and invite DJs for Friday and Saturday. Hartwood: Hartwood is a real hotspot and definitely THE best place in Tulum. It is professedly the hardest table to get in town. You have to book your table one month in advance. And when I say it, I totally mean it. The food was amazing and extremely fresh. Their menu changes daily. Every ingredient, they use for their dishes, is located in the local area. Sustainability plays an important role. Nomade: As I mentioned before, I really love the Nomade hotel and its restaurants. We had dinner at La Popular and it was so delicious. It is a fish-market inspired restaurant, where you can spend hours and hours. The meals are served in a super relaxed atmosphere. You can order fresh fish every day. In the morning, local fishermen deliver their fresh catches straight to the restaurant. The menu therefore always varies according to the season. Cenzontle: Oh I love Cenzontle. It is one of my favorite restaurants in Tulum. You actually dine in a candlelit open air garden. Cenzontle serves traditional Mexican flavors with an unconventional twist. It was amazing. Star level in a relaxed atmosphere. Casa Banana: Casa Banana Tulum is an urban patio restaurant, serving Argentine food in Tulum. Grill steaks, the Argentine way, fresh ingredients and delicious cocktails. Ojo de agua: Ojo de agua is THE place for breakfast in Tulum Beach. It is super cozy and comfortable inside and out. It is right at the beach and has a wonderful view. The selection of breakfast is huge. You can oder anything from fresh and healthy juices, to delicious bowls, sandwiches, eggs and avocado toast. I could have spent every morning at this beautiful place. Burrito Amor: You can spend a whole day at Burrito Amor and never stop eating. What actually sounds like a casual burrito place, is in fact a super cool restaurant, where you can have breakfast all day and night. 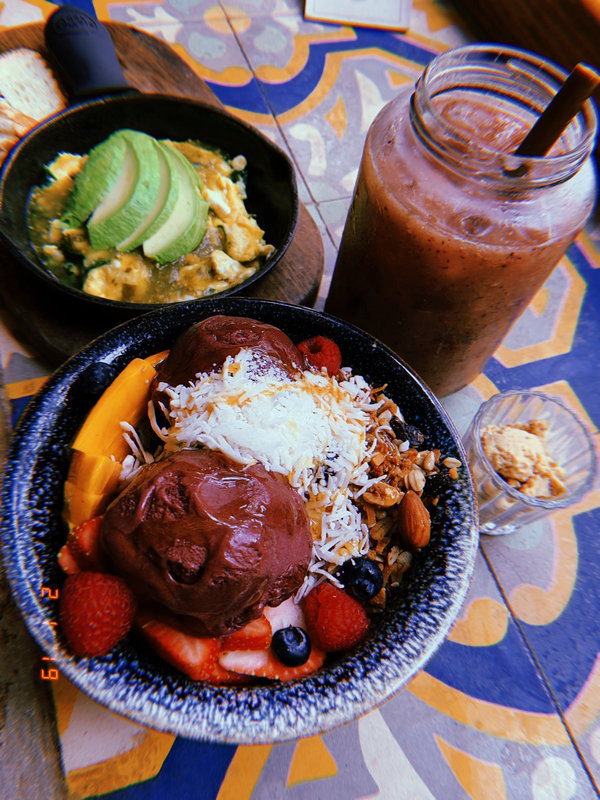 Avocado toast, chia pudding, homemade granola or scrambled eggs. I’m pretty sure you will find something, you like. During the day, you need to try the delicious burritos, fresh salads and sweet little treats. They also have great vegetarian and vegan options. Every dish has simple and natural ingredients. Los Aguachiles Tulum: Los Aguachiles Tulum is a basic low budget restaurant. The restaurant isn’t very charming or cozy at all, but it offers really good and authentic Mexican food. Try and visit it on a Sunday when all Mexican families meet at a big table – so much fun and very entertaining. El Asadero Tulum: El Asadero is a delicious steakhouse. From the outside it looks like a classic tourist trap. The food, especially the meat, is amazing. It is such an authentic place and very well visited by the locals. The whole atmosphere was great and I really loved the Mexican band. It was playing the whole evening and visited us at our table. I felt like in a Mexican movie. Ki’bok: Coffee please! Ki’bok is THE place for the best coffee in town. Believe me, it is really hard to find delicious coffee ( the way we know it ) in Tulum. Ki’bok however sells the most delicious world-class espresso drinks. You can order anything from a classic cup of coffee, to a flat white or typical Italian cappuccino. My insider tip: Try the cupcakes! I love traveling and I really do love sightseeing, too. These holidays however, I decided to be super lazy and do nothing but eat, read and sunbathe all day long. Tulum has some amazing places to visit and explore and I will for sure visit them the next time I travel to Mexico. If you’re staying at Tulum Beach, I do recommend to visit Casa Malca. It is a nice boutique hotel that used to be home to drug lord Pablo Escobar. Make sure to stop by for a few hours to explore everything. 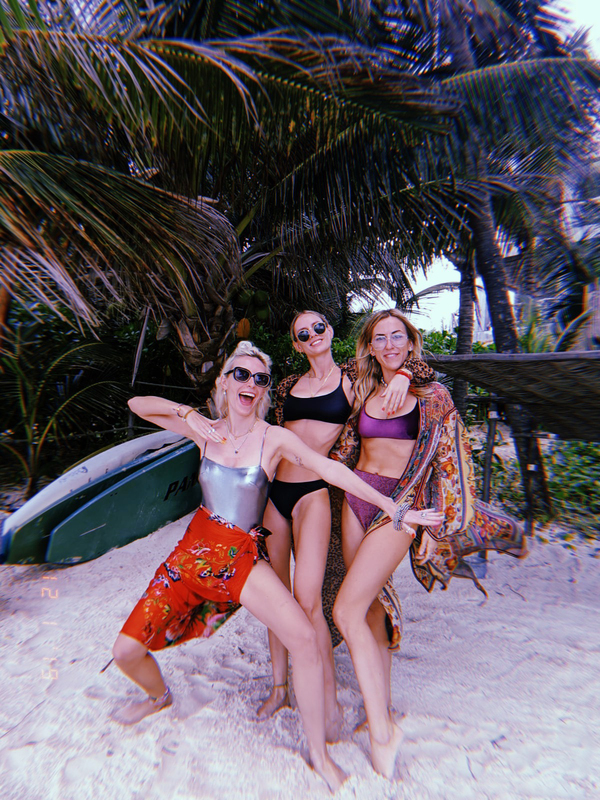 Have you guys ever been to Tulum? Do you love it as much as I do?